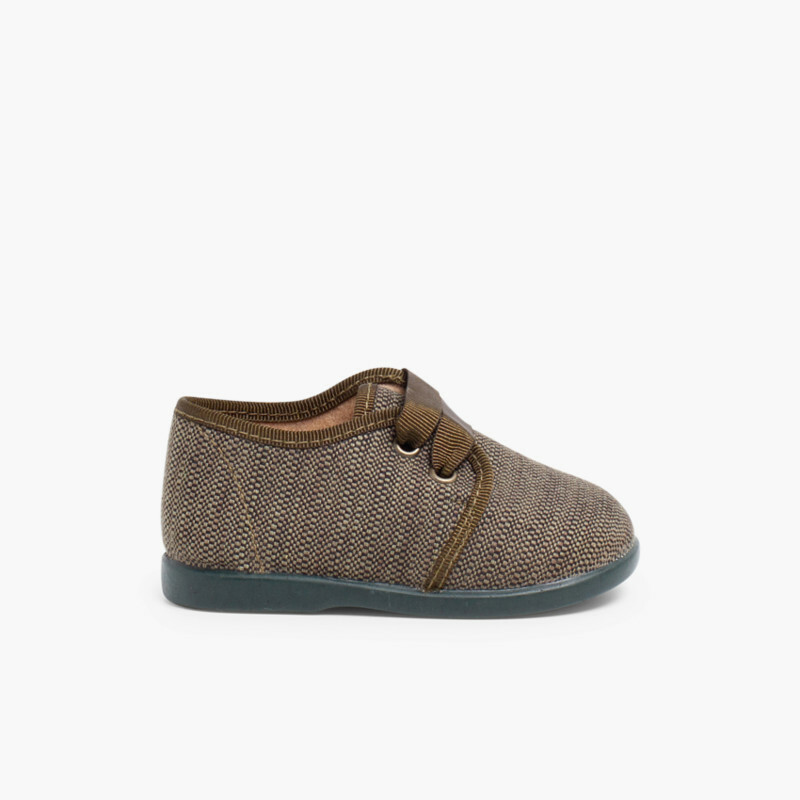 Ideal baby shoes for autumn. 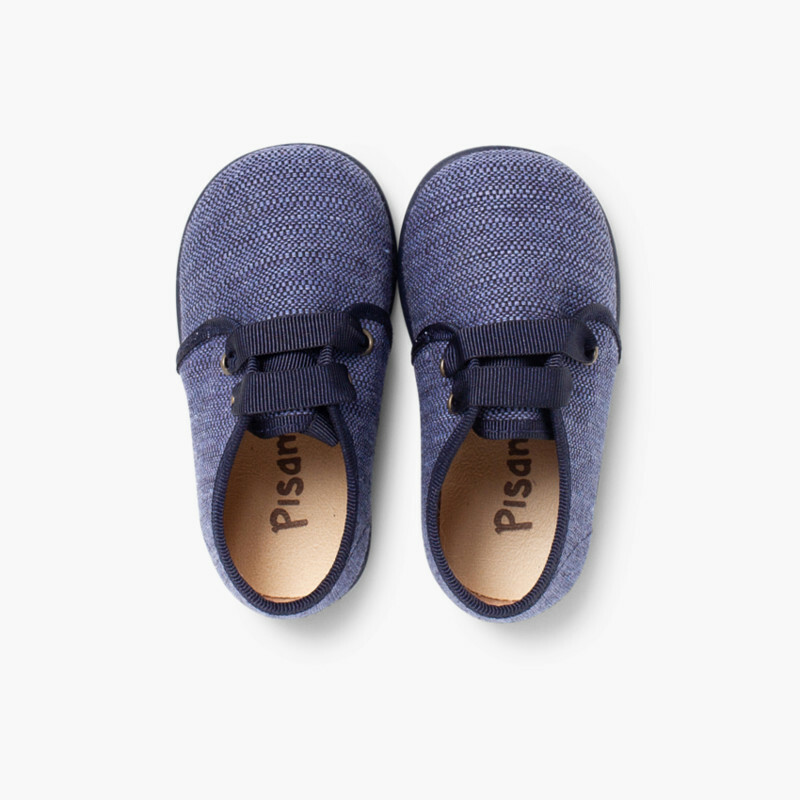 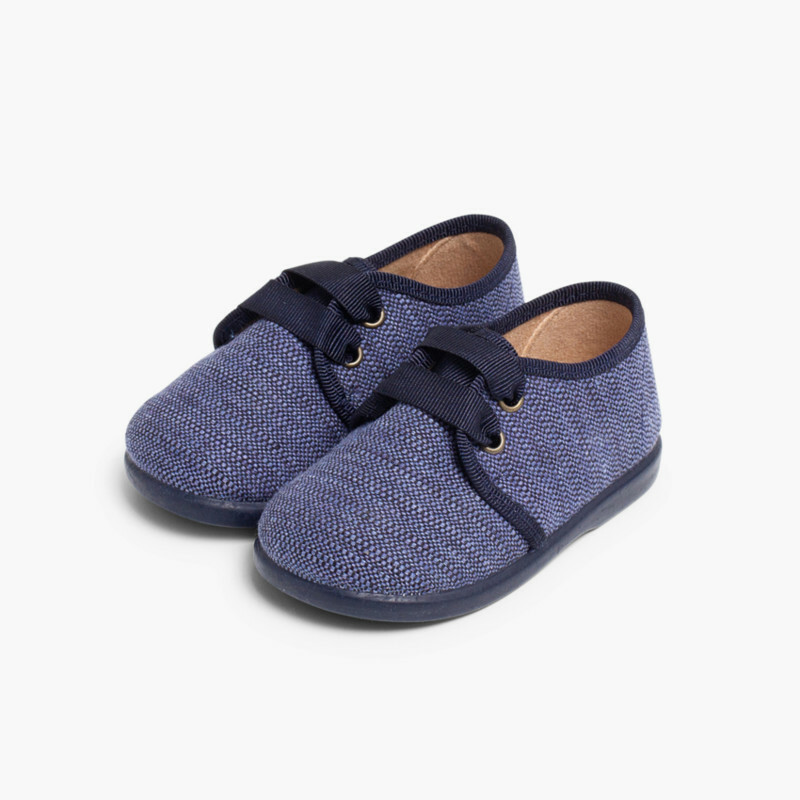 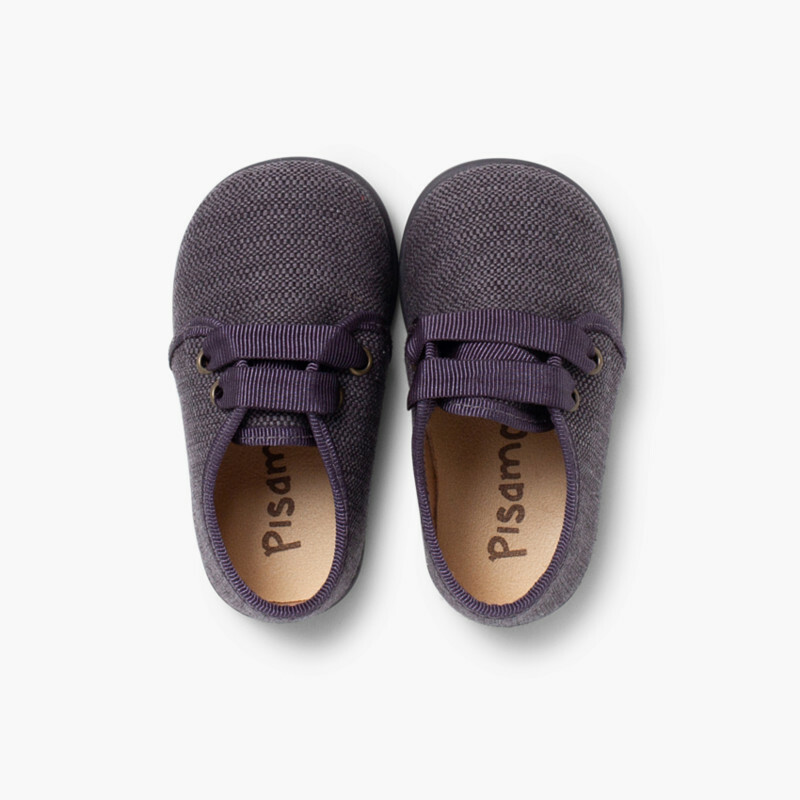 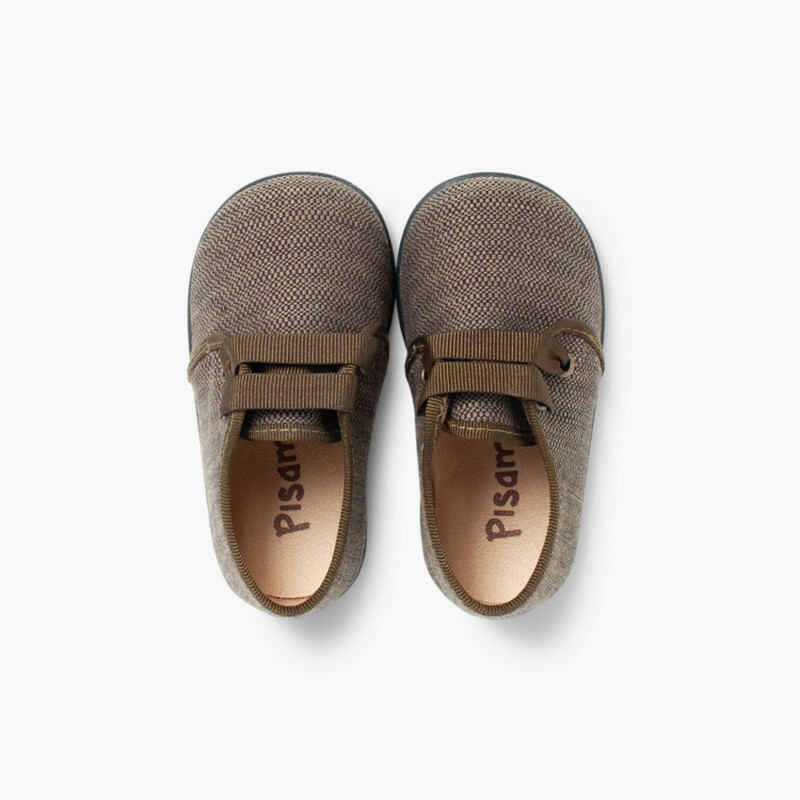 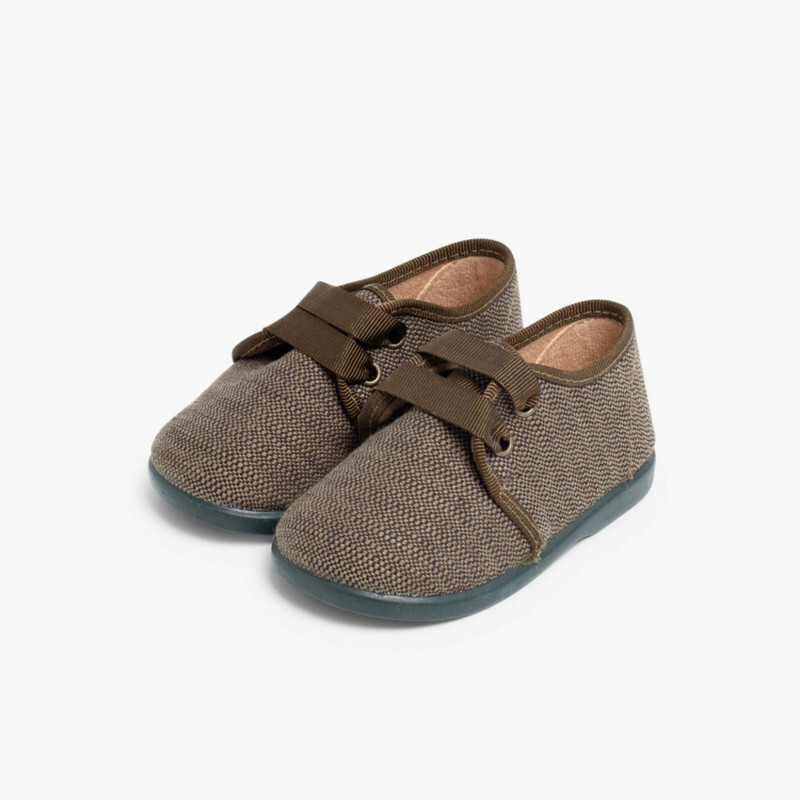 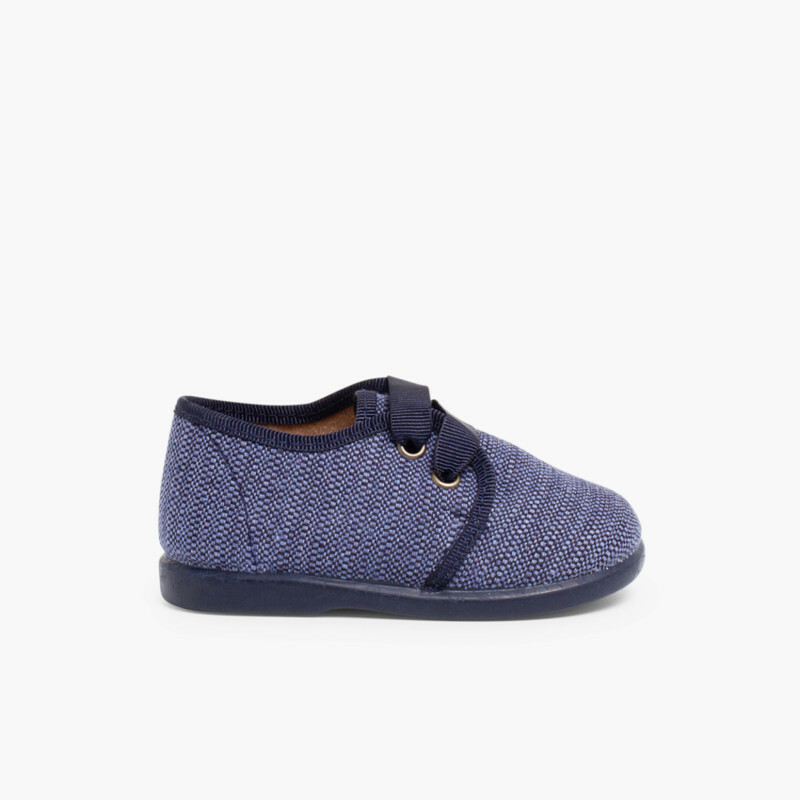 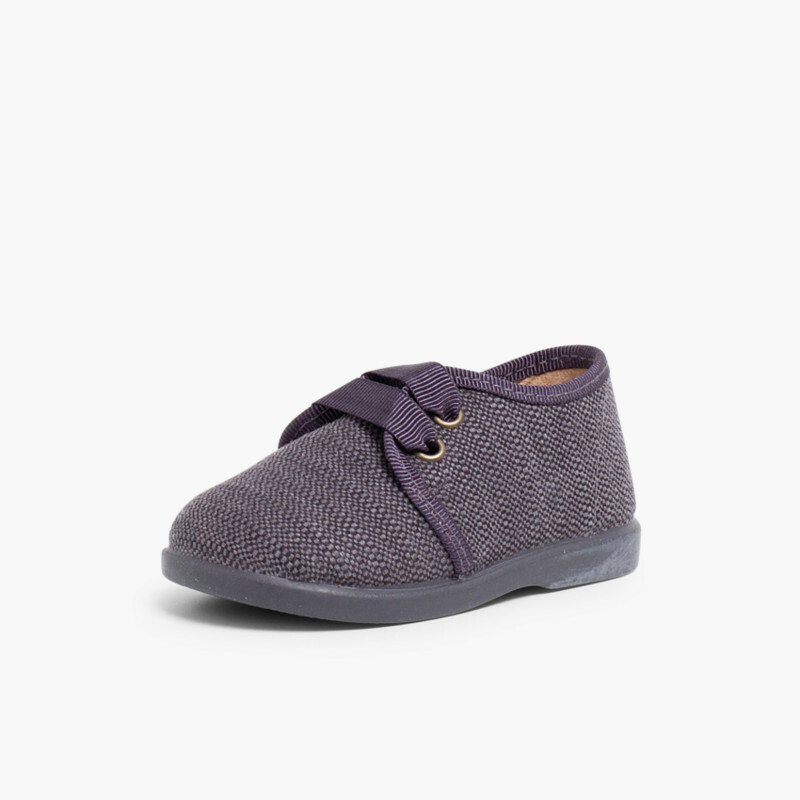 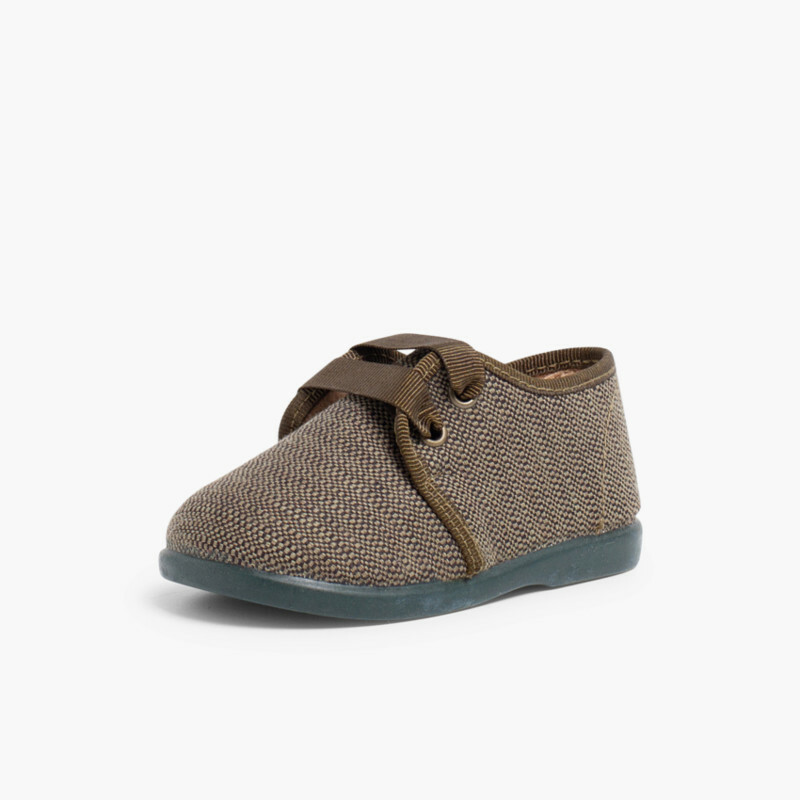 These children’s Bluchers are made of fabric and have rubber, non-slip soles, making them the perfect shoes for first steps. 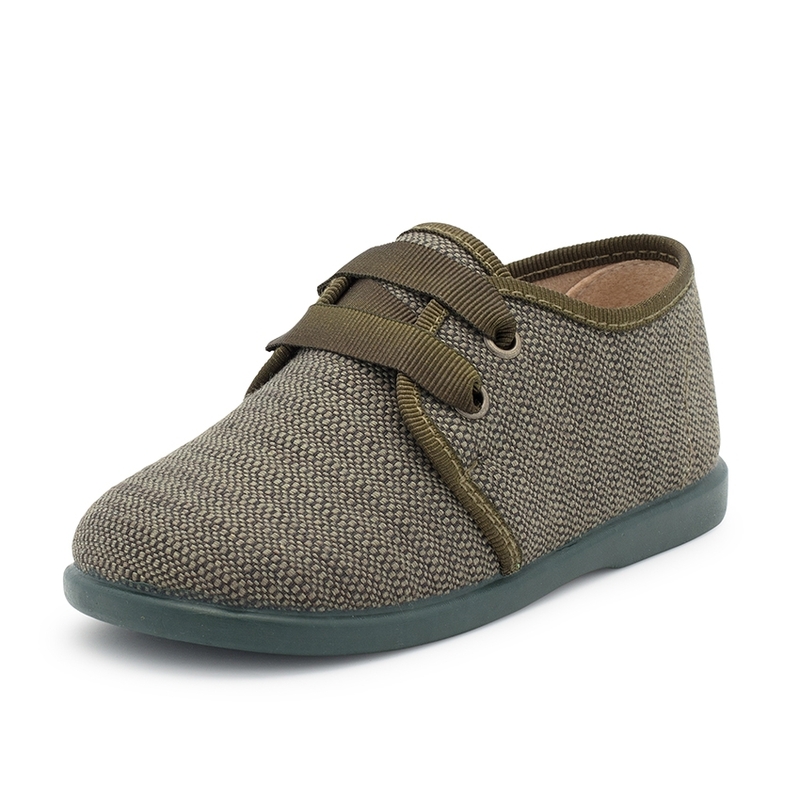 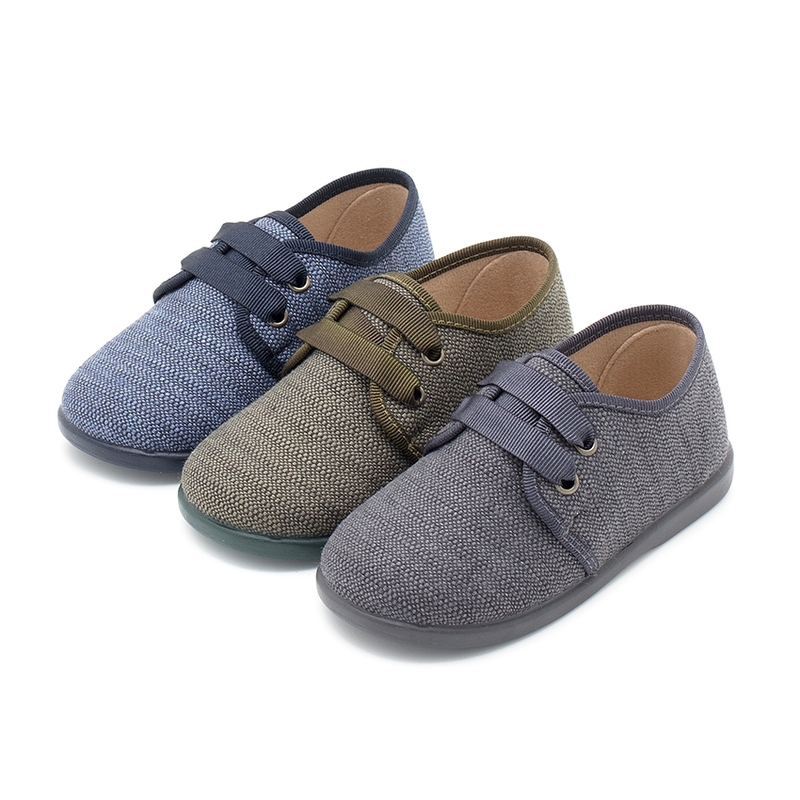 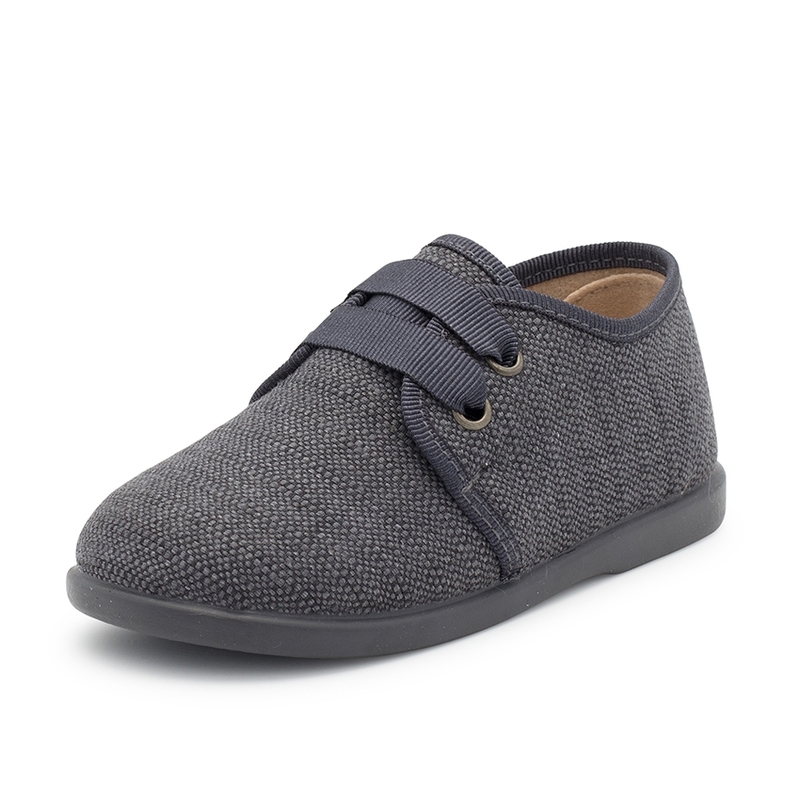 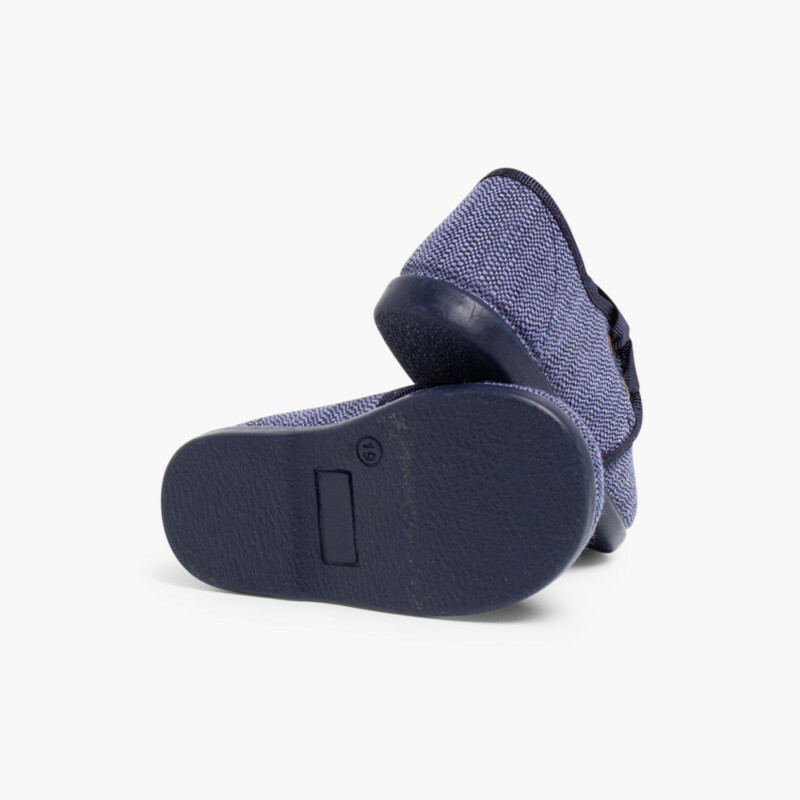 These fabric shoes are available in blue, grey or khaki. The laces, soles and edging come in a slightly darker shade than the rest of the shoe, and feature intertwined threads in two tones. 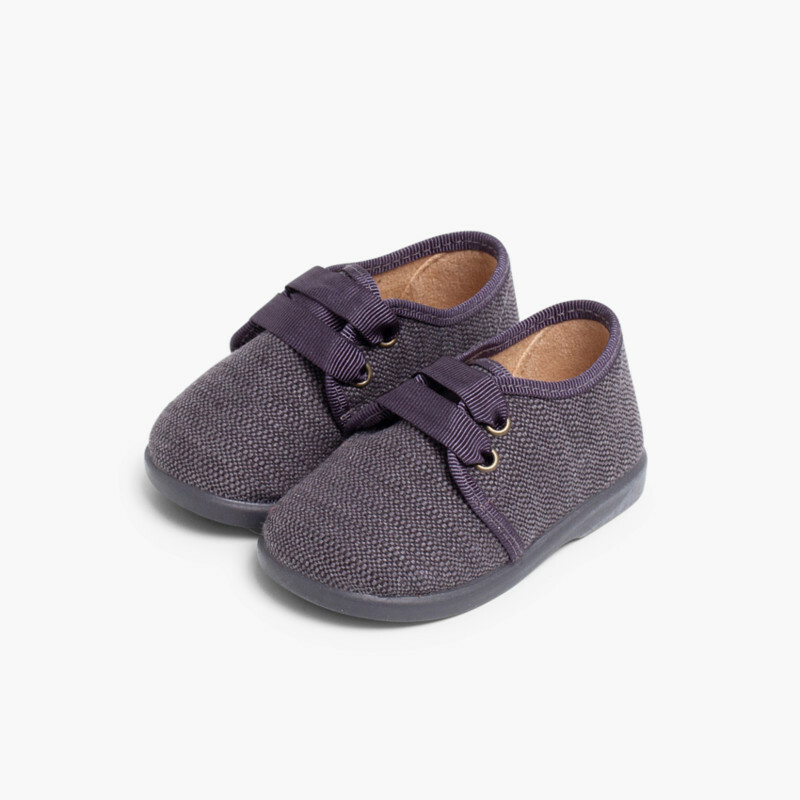 They can be worn alone on days when the weather is good, or combined with socks or tights on colder days. 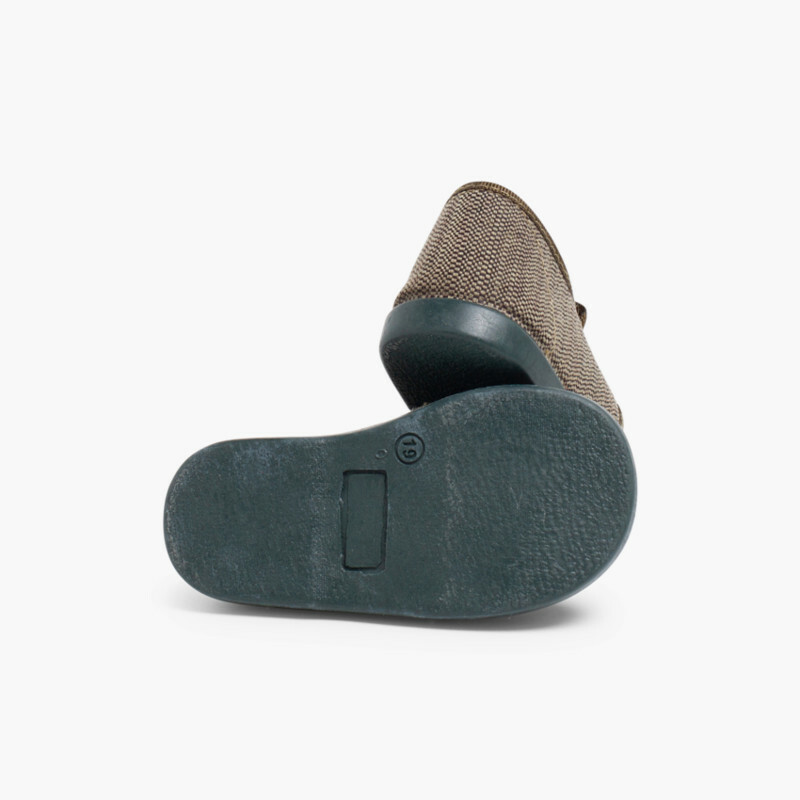 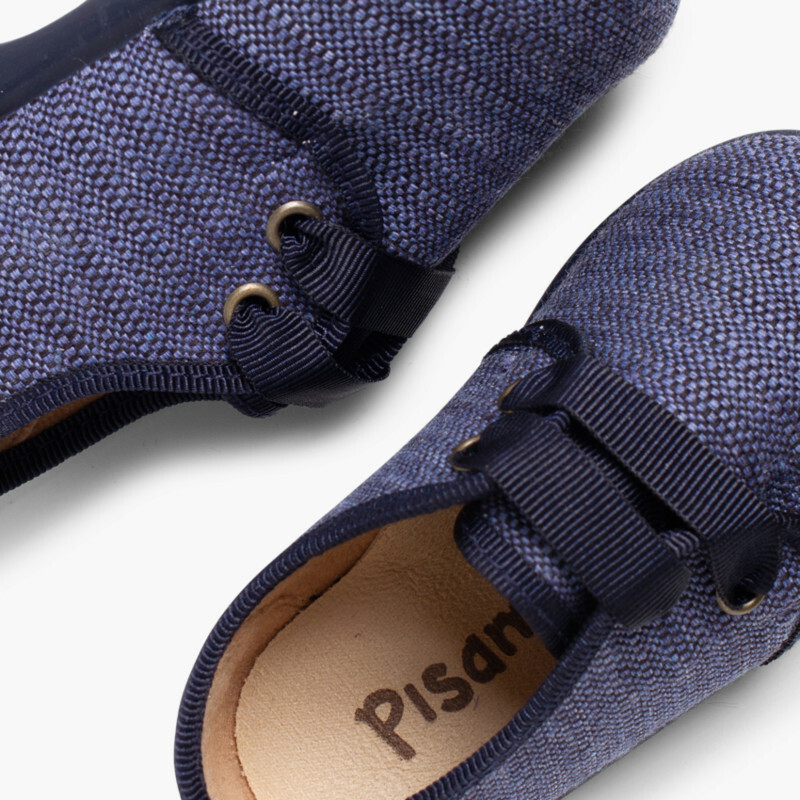 Like all Pisamonas footwear, they are 100% made in Spain. 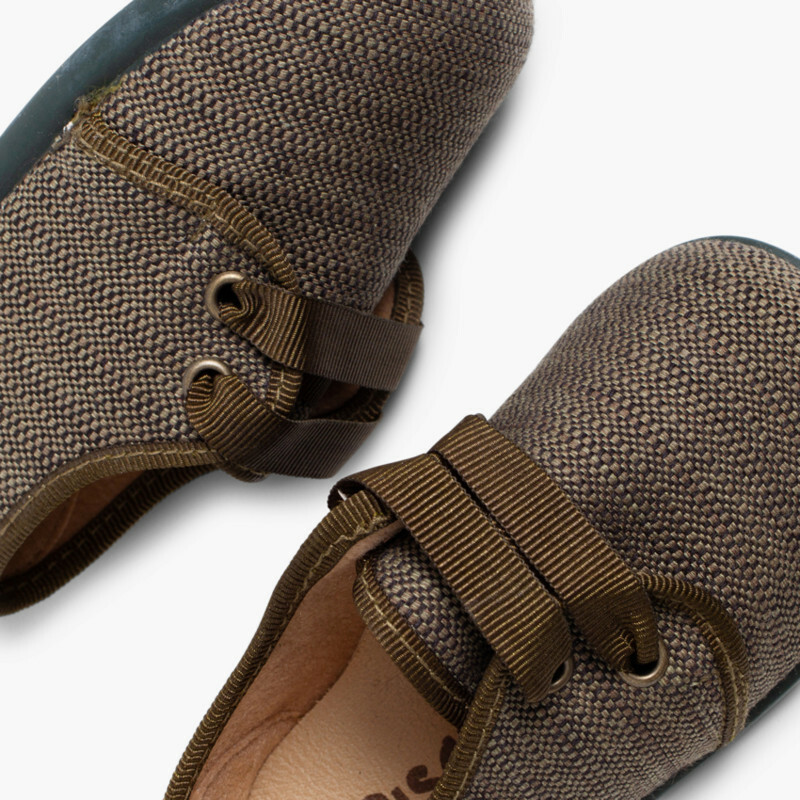 If you’re not sure which size to choose, consult our size guide chart for this style. 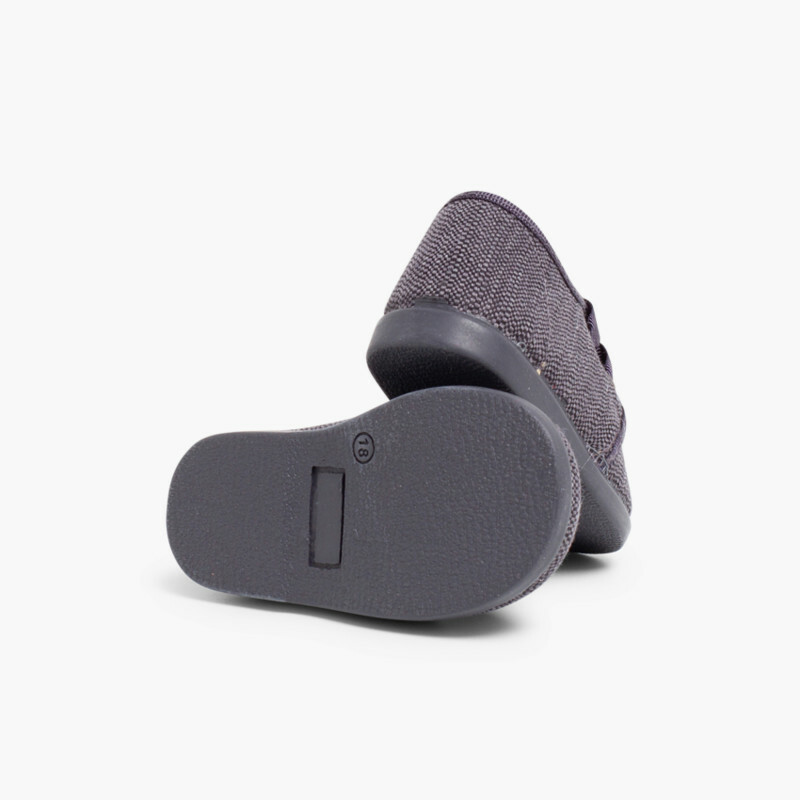 Anyway, if you don’t get it right the first time, remember that exchanges are always free.